What is World Passport and which countries actually recognize it? It works in Tanzania but not in America. The World Passport is similar in appearance to a national passport or other such authentic travel document. 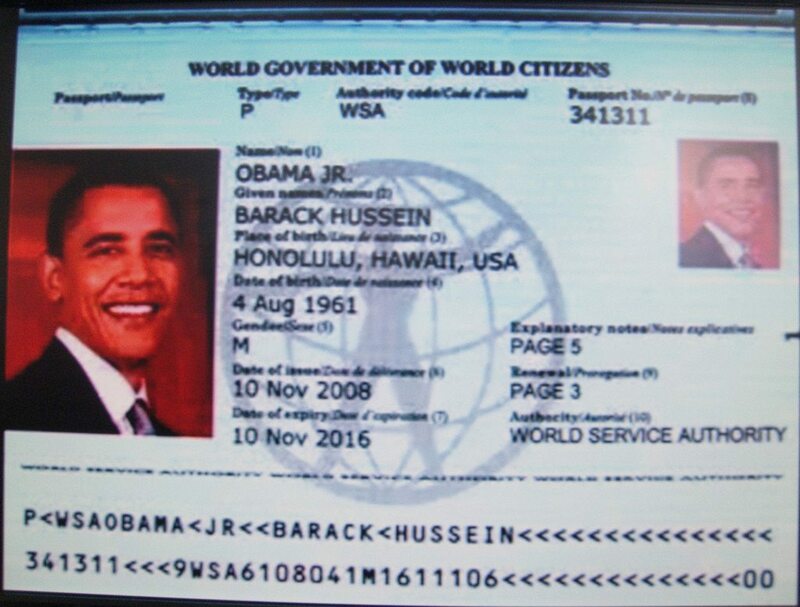 The appearance is so similar that in 1974 a criminal case was lodged against Garry Davis in France regarding his issuance of World Passports. In 1979, the World Passport was a 42-page document, with a dark blue cover, and text in English, French, Spanish, Russian, Arabic, Chinese, and Esperanto. It contained a five-page section for medical history and a six-page section for listing organisational affiliation. The fee charged at that time was $32 and postage for a three-year passport with the possibility of two years’ extension of validity. The latest edition of the World Passport was produced January 2007. It has an embedded “ghost” photo for security, covered with a plastic film. Its data page imitates the format of a machine-readable passport, with an alphanumeric code bar in the machine-readable zone (MRZ) enabling it to be scanned by an optical reader. However, in place of a valid ISO 3166-1 alpha-3 code in the MRZ “issuer” and “nationality” fields, it uses the non-standard acronym “WSA”. According to the WSA, the latest version of the World Passport was filed with the International Civil Aviation Organization. According to the WSA website, the application fee is $45 for a three-year document, $75 for a five-year document, and $100 for an eight-year document. A “World Donor Passport” valid for fifteen years with a special cover is sold for a fee of at least $400 which, according to the WSA, is used to provide free documents to refugees and stateless persons. The applicant for World Passport needs to provide as proof of his or her identity along with the application for the World Passport either a notarized certification of the details on the form, a copy of his or her national identity papers or a fingerprint of the right index finger. There are known cases in which people have been able to obtain World Passports in names other than their legal names; see the section on fraudulent issuance below. Hip-Hop artist and actor Yasiin Bey (Mos Def) was arrested in South Africa on January 15, 2016 for attempting to leave the country using a world passport. He had entered the country using an American passport and has lived in Cape Town since May 2013. South Africa’s Department of Home Affairs released a statement saying that Mr. Bey will be allowed to appeal the immigration action and possibly seek permanent residency. 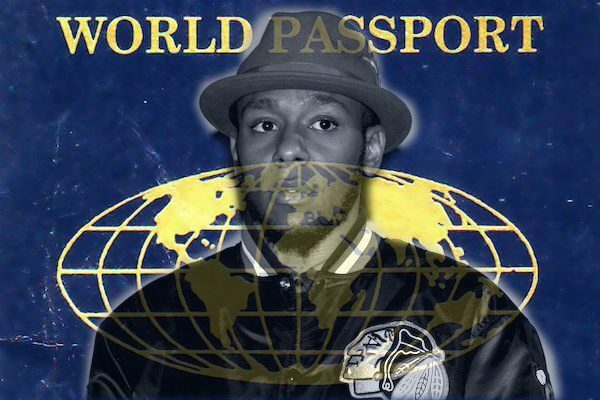 Yasiin Bey (formerly Mos Def) Arrest World Passport or World Protest? He attempted to leave South Africa earlier this year, but instead of a U.S. passport, he gave airport security a World Passport. That wasn’t reason enough to detain him. The real problems came when it was revealed his family had overstayed their visas. The rapper formerly known as Mos Def has been charged with fraud, and now Bey and his family have one week to leave the country. Bey has left South Africa as many as ten times in recent years, and his most recent visitor’s visa doesn’t expire until the end of February. But they won’t let him leave with the World Passport. 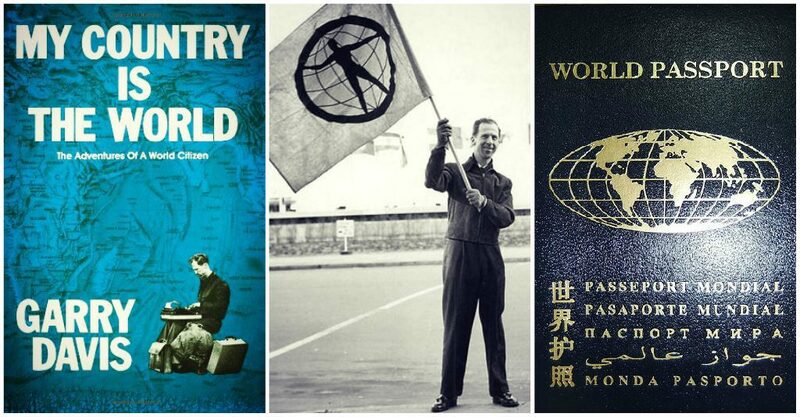 The WSA began making World Passports, and has issued over half a million in its 60+ years of existence. Davis pushed the passport for years during his travels, and was arrested dozens of times as a result. The movement, however, has not caught on with many national governments. The World Passport is only recognized in a handful of countries (Ecuador, Tanzania, Mauritania, Zambia, Burkina Faso, The Vatican, and Togo), and proof of their acceptance—scanned documents from the nations’ governments—dates back to 1954. Julian Assange and Edward Snowden are purportedly among those in possession of a World Passport. World citizenship is a reality, thanks to the efforts of Gary Davis, an international peace activist who created the World Passport, the first international travel document originally based on world citizenship. The World Passport is both a symbol and a legitimate tool for individuals to use to claim their right to freedom of movement — it does not replace your national passport or make you lose your present nationality. It represents you as a human being and a world citizen. It represents your right to travel freely and to choose your place of residence. These are fundamental human rights that we all have innately and inalienably simply by being human beings; no government can grant or deny our rights, although national governments do refuse to respect rights on a day-to-day basis with impunity. You can apply for the World Passport at World Service Authority (WSA)’s website:http://www.worldservice.org/forms.html. Please be advised that children have to get their own passports and documents regardless of their ages. Another person can send the issuing fees on your behalf. Please provide his/her name when you mail your official applications. Including a copy of your birth certificate or national passport. Having your signature notarized on the passport application. Providing the finger print of your right index. Please chose the option that will accommodate/help you in your present situation. Don’t forget to include a copy of your proof of payment. The expedited service costs $150 (per applicant) for approximately two to four work days service (2DP), or $75.00 (per applicant) for approximately four to ten work days service (4DP — Around two weeks)). These fees are in addition to the following issuing fees. The expedited service time frame starts from the day we receive your applications and the deposited payment of fees. Please mention Att: Bill on the envelope 2DP or 4DP. We also offer an expedited service for $40 (per applicant) and documents will be processed in 15/20 work days (around a month). The fees for the 15-year passport and the following documents are $400.00. The fees for the 8-year passport and the following documents are $100.00. The fees for the 5-year passport and the following documents are $75.00. The fees for the 3-year passport and the following documents are $45.00. Registered mail = $25.00 — TNT courier to Western Europe costs $55.00. TNT to Eastern Europe is $90. DHL to Western Europe costs $60.00. DHL to Eastern Europe costs $90.00. TNT to Africa costs 100.00. DHL to Africa costs $80.00. Express Mail Service of the United States Postal Service is $55 for anywhere in the world. Payment via Western Union/Quickpay to the code city WSA, DC. The account number is 4624. In case Quickpay is not available, please send your fees in the name of David Gallup, Rockville (the city), MD (the state). Payment via MoneyGram in the name of David Gallup. Please make sure the spelling is correct. Any spelling error means that we may not be able to collect the fees. The city code or the destination is Washington, DC. Remember Washington is the city, and DC is the state. Payment through PayPal to davidgallup@worldservice.org. Payment by credit cards. WSA accepts: Visa, Mastercard, Discover, American Express, and Diner’s Club. Applicants paying by credit card must complete the credit card payment form on the WSA application or atwww.worldservice.org/appform.html. You must include a copy of the front and back of your credit card with the application form. If you have any questions, write to: info@worldservice.org. Documentary: The Scientist - Can Cannabis Cure Cancer, Alzheimer, etc?